Are you bored of diversity yet? Naturally I am, but I’ve been talking about it my whole life. However, it feels like only now that we’ve really started to talk about it. We’ve started to pay attention to it in ways we previously didn’t, and there’s been a real conscious effort to include diverse voices, hire diverse talent and put diverse leaders into senior positions. If I’ve learnt anything from the recruitment industry it’s that nothing happens in isolation and for real, tangible change to take place, we all have to make smaller changes in our own agencies, departments and hiring efforts. So, I thought I’d write down what some of those look like in the hope that they can become the map for change and the call to arms we all need to rally behind. The truth is, the diversity conversation doesn’t just need to happen at board level, but rather needs to be infiltrated throughout businesses by every able body. This is certainly something we all, regardless of position or seniority, can do. The language we use subliminally defines the ways we think and therefore act. Aren’t you tired of seeing discriminatory language on job ads? To this day, I still receive specs with the caveat, ‘must have 3-5 years’ experience’ and time and time again I tell clients it’s a blinkered way of thinking that will lose us the best talent. I’ve always believed that my job as a recruiter is to filter, select and assess the very best people on the market, and age is not a criterion I use to do this. Will never be. My peers and colleagues might not thank me for adding this one, but I truly believe it’s an important point. Whether you’re using individual recruiters or agencies, start asking the difficult questions about where they’re sourcing their talent from. 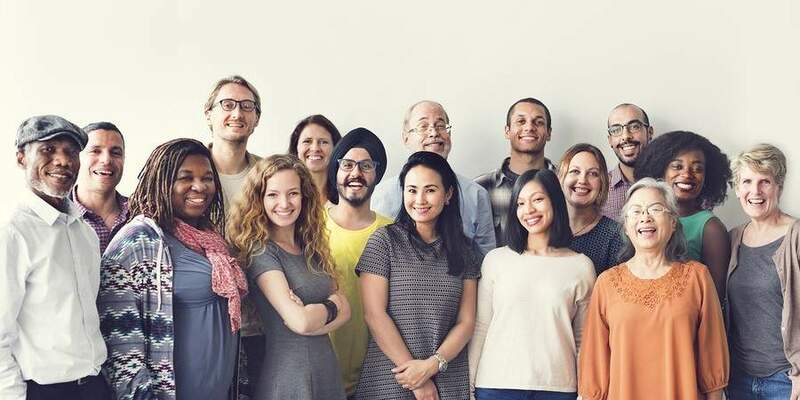 What candidate pools are they engaging with, how are they nurturing their future candidates base to benefit diverse hiring and what strategies have they inputted for diverse hiring. Recruitment is a partnership project and the conversation must flow both ways. I recognise that I have an opportunity to work with some of the best businesses around to help guide them through shifting times. I also know that those same businesses are open to education and change and that’s a wonderful space to be in. We’re no longer talking about statistics and how diverse businesses are 35% more likely to yield greater financial returns because we know that diverse companies attract exceptional talent and improve employee satisfaction (McKinsey & Co.) Now we’re ready to do something about it. I remember when recruitment wasn’t ready to change, when a stubbornness existed and there wasn’t any room to manoeuvre, so to be in a space where we’re actively shaking our organisations and rolling up our sleeves is wonderful. I’m glad I get to be a part of this change and will always answer the call to arms. I really hope you can do it with me.